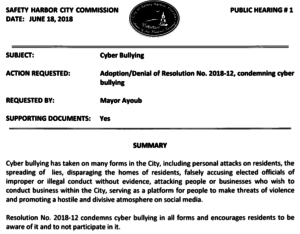 An anti-cyberbulling resolution supported by Mayor Joe Ayoub is likely to illicit the most discussion on June 18 when the Safety Harbor City Commission meets with another light agenda as it gears up for lengthy budget talks later this summer. What’s the issue? 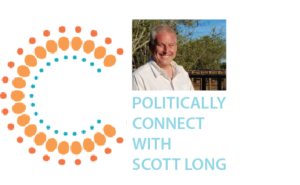 For several years, various social-media sites in the city have been accused of crossing the line from respectful debate into personal attacks. Ayoub, who is frequently the subject of online discussion, was recently threatened with physical harm by a commenter on one social-media site (the comment has since been removed and the commenter has apologized to Ayoub). The resolution asks that all citizens be respectful in their public discourse. What decision needs to be made? Commission may approve, deny or modify the resolution. What is it? The Parks & Recreation Advisory Board has suggested a number of changes to the application process for special events in the city, as well as changes to the fee structure. What’s the issue? Residents have routinely addressed City Commission, asking them to make changes to special events, especially ones held at Waterfront Park. The advisory board examined the process in-depth and has provided 11 suggestions for Commission to consider, including allowing events only every other weekend, canceling the Seafood Festival if an outside organization does not wish to take it over, keeping the pier, bathrooms and boardwalk open to the public during all events, establishing fines for organizers if trash and debris is left on site, requiring events that expect more than 2,500 participants to include a parking plan and adjusting venue, staffing and equipment fees. What decision needs to be made? Commission may approve, deny or modify the suggested policy. Ordinances or changes to city code require two hearings before the City Commission. Code changes concerning vehicular and bicycle parking and T-turns: Commission voted 5-0 on first reading to approve these code changes, with one change: requiring the Commission, not city staff, to make the decision on a parking reduction request for a new business that seeks to change the use of a building, and not just when the square footage of the business is increased. Among the other code changes: allowing for a 25 percent reduction in parking requirements for new businesses in the Community Redevelopment District, which is largely downtown, when it can be demonstrated that additional parking can not be reasonably added, establishing standards for bicycle parking, adding a bicycling parking requirement to site plans and allowing developments to use T-turns in their designs. 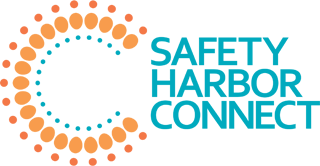 Suggested code changes concerning design and accessory uses: City staff is requesting direction from Commission on two possible code changes. The first, suggested by the city’s Planning & Zoning Board as part of its “small town charm” mission, is to adopt a policy similar to one St. Petersburg uses to encourage variation in design by prohibiting a developer from building the same facade within three lots owned by the same entity. The second, suggested by a resident who previously served on the Planning & Zoning Board, addresses the maximum height allowed on accessory structures (detached garages, for example). The city allows for accessory dwellings to be up to 25 feet high, while accessory structures can be up to 25 feet high in the Community Redevelopment District and up to 12 feet high anywhere else in the city. Selecting beneficiaries of 2018 Wine Festival: The Parks & Recreation Advisory Board has recommended that Mattie Williams Neighborhood Family Center, the Safety Harbor Museum of Regional History, Kiwanis Club of Safety Harbor and Embracing Life Through Love Inc. be the four non-profits to share proceeds from this year’s Wine Festival. Applications also were received from Huddle in the Harbor Inc., the Safety Harbor Lions Club, Safety Harbor Public Library Foundation and VFW Post 10093. 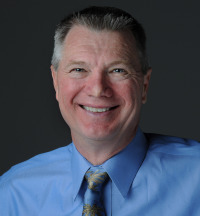 Watch from home: Meetings are live-streamed to the city’s website at http://cityofsafetyharbor.com/557/Streaming-Media. The following day, a video of the meeting is posted for residents to watch. The comments on the facebook post of this article are ludicrous. People are expressing their fear of being silenced by accusing the Mayor of using “Nazi tactics”. I’ll be interested to see how this plays out. What a shame that there has to be such derision in an otherwise beautiful little city. Best of luck to the Mayor and the fair-minded commissioners (I know there are a couple, at least). I hope this issue gets resolved in a thoughtful and fair manner. Bullying……let’s not forget the last mayoral campaign. Selection of beneficiaries for Wine Festival, hopefully are for 2019? The selection was for the 2018 Wine Festival, which will be this November. Selection for 2019 will happen next year this time. Bullying? Have we forgotten the last mayoral race? Yeah – those lying mailers direct from Janet Hooper were an embarrassment. She even doubled down on her lies with Shelly Schellenberg. Janet partnered with a pig during her campaign and she was surprised she got muddy. and those perceiving emotional distress by cyberbullying be allowed to take mental health relief days to receive cognitive behavioral counseling to cope with their distress.